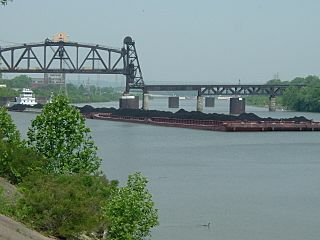 Description: A barge hauling coal in the Louisville and Portland Canal, the only manmade section of the Ohio River. 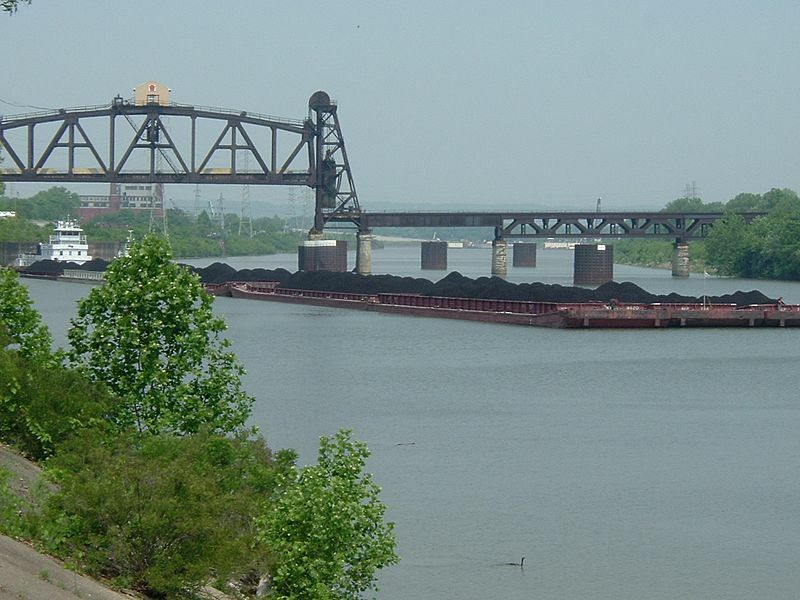 This canal was completed in 1830 and widened in 1872, 1928, 1962, and 2008. Taken by the uploader, Censusdata; all rights released.